Born in Llanes(Asturias, Spain) in 1955 and grew up in Cabezón de la Sal (Cantabria, Spain). Obtained a Ph.D. in Physics at the University of Cantabria in 1984 and was awarded the Premio Extraordinario de Doctorado in 1985. A DGICYT Senior Postdoctoral Fellowship initiated collaboration in High Pressure Research and High Resolution Optical Spectroscopy at the University of Bern in Switzerland (1989 and 1991). He was a visiting scientist in the Solid State Group at King's College London (1995-1996) to investigate impurity defects in Silicon using FT spectroscopy. User scientist in Large facilities (ILL and ESRF in Grenoble, and LURE and LLB in Orsay) and participated in different research projects. He has supervised several Thesis and a Final year projects in the field of Optical Properties of materials and High Pressure research. He collaborates with different research groups and leads the High Pressure & Spectroscopy Group. Since 1998 is involved in the European High Pressure Research Group (EHPRG) as Committee Member (1998-2000), Secretary (2000-2003) and Chairman (2003-2006). Affiliate Member of the Physics Department at Colorado State University since 2005. 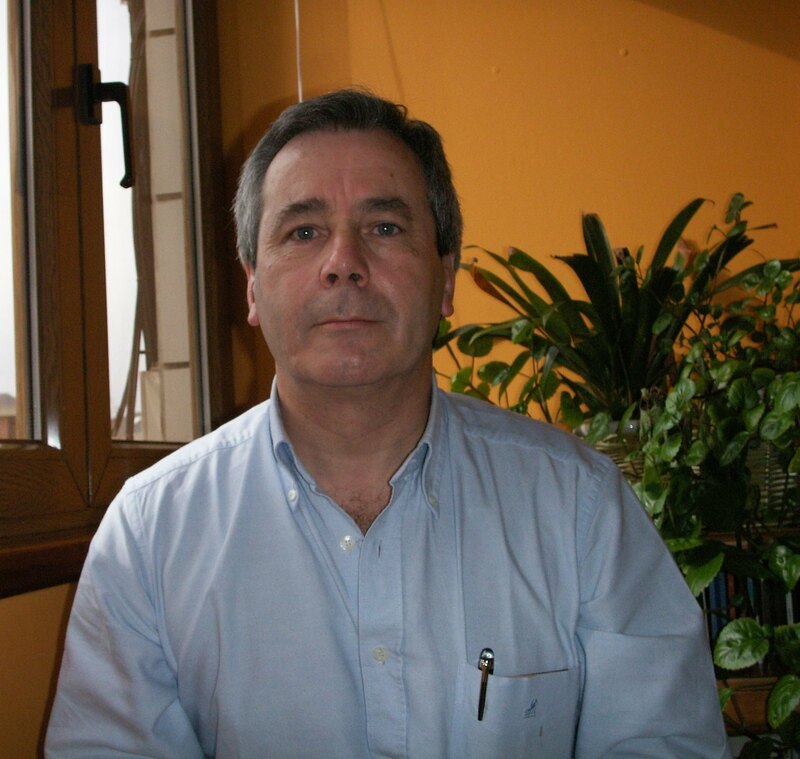 Head of the Earth Science and Condensed Matter Physics (DCITIMAC) of the University of Cantabria (2004-08). His main research field is the optical properties of materials, searching for correlations with their structural and magnetic properties. Preferred interest is focused in Jahn-Teller systems, impurities, defects and localised centers formed in insulators and semiconductors. Expertise in High Resolution Optical Spectroscopy and High Pressure techniques. · Optical properties of materials under pressure. High pressure research. Microspectrometers for DAC. · Charge Transfer and Crystal Field spectroscopy of transition metal ions. Thermochromic and piezochromic properties. · Correlation studies between optical, magnetic and structural properties in Jahn-Teller systems of Cu(II), Ti(III), Ni(III), Co(III) and Mn(III). · Photoluminescence studies of materials containing Mn(II) and Cr(III). Local structure characterisation from EXAFS and Optical spectroscopy. · Study of defect centers in Silicon through optical spectroscopy. Center formation and passivation by Li. High resolution FT spectroscopy, Uniaxial stress, Zeeman and Isotopic studies. · Solar concentrators for photovoltaic improvement. "Polarized electronic spectra of the (CH3NH3)2CdxMn1-xCl4 (x = 0-1) perovskite layer doped with Cu2+: Study of the Cl- to Cu2+ charge transfer intensity enhancement along the series"
"Synthesis, structure and polarized optical spectroscopy of two new fluoromanganese(III) complexes"
"Electron-phonon coupling in charge-transfer and crystal-field states of Jahn-Teller CuCl64- systems"
"Study of the photoluminescent oxygen-related center at 1096.9 meV in neutron-irradiated CZ-Si. Centre formation and structure". "Double-excitation transitions in the perovskite NH4MnCl3 studied by pressure techniques"
"Optical study of the piezochromic transition in CuMoO4 by pressure spectroscopy"
"Spectroscopic study and structural characterization of a Li-related photoluminescence center in neutron irradiated Si"
"Photoluminescence enhancement of Ca1-xSrxF2: Mn2+ under pressure"
"Optical Spectroscopy of Ti3+: Al2O3 single crystal under hydrostatic pressure. The influence of the Jahn-Teller coupling". "Pressure-induced photoluminescence in Mn2+-doped SrF2 and BaF2 fluorites". "Intrinsic and extrinsic photoluminescence in the NH4MnCl3 cubic perovskite: a spectroscopic study"
"Pressure effects on NaMnF4: Structural correlations and Jahn-Teller effect from crystal spectroscopy"
"Correlations between structure and optical properties in Jahn–Teller Mn3+ fluorides: a study of TlMnF4 and NaMnF4 under pressure"
"Photoluminescence and radiationless processes in Mn2+-doped Ca1-xSrxF2 fluorites as a function of pressure and temperature.